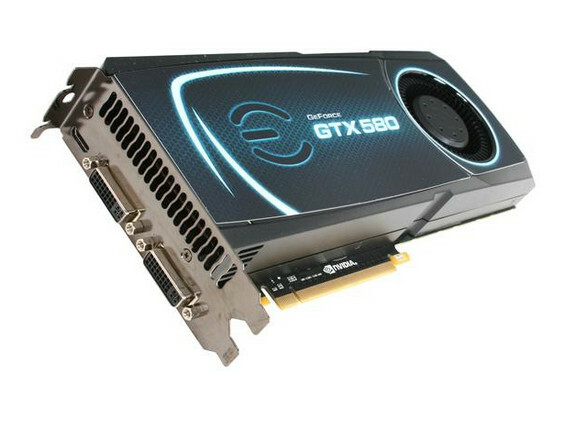 The world's fastest GPU has arrived with the EVGA GeForce GTX 580. Experience blockbuster games like Call of Duty? : Black Ops and Tom Clancy’s H.A.W.X? 2 in their full glory with everything cranked to the max. Not only does the EVGA GeForce GTX 580 rip through the latest games, it also runs quieter than the previous generation. And as you have come to expect from the GeForce GTX GPU, the GTX 580 packs support for all the premium GTX gaming technologies such as NVIDIA Surround, 3D Vision, PhysX and SLI. With all these features and more, it is easy to see how the EVGA GeForce GTX 580 obliterates the competition.